Take 1 pill daily as needed. Often when a person is dealing with extreme stress or an anxiety disorder, they are prescribed a potentially harmful drug like Xanax or Prozac. While these drugs may help, they can be highly addictive, and the side-effects can be intolerable. Some people do not respond well to these types of medications and some report no improvement in their symptoms. Stress and anxiety impact a vast number of the population and people are actively searching for better solutions. One of the answers more and more people are turning to is CBD pills. CBD capsules have become a trusted supplement to many individuals and have gained traction in the health and wellness world. Research shows promising signs that CBD may help treat a variety of ailments, alleviate chronic stress, and relieve anxiety. 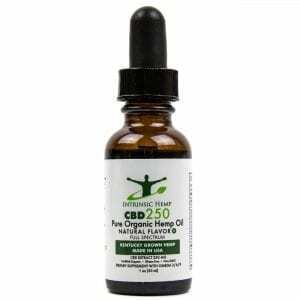 CBD capsules have become a popular natural remedy for common ailments replacing pharmaceuticals. Cannabidiol, also known as CBD, is one of many chemical compounds found in the cannabis plant known as cannabis sativa. Hemp and marijuana both come from the cannabis sativa plant. However, the two are very different. Marijuana has very high amounts of THC—the component that changes a person’s state of mind. Hemp is a legal plant that produces most of the CBD that is used in natural supplements. The psychoactive effects associated with cannabis comes from a chemical compound known as THC. CBD products contain little to no THC. CBD is even said to have an antipsychotic effect. This makes CBD pills an excellent alternative for people who want to relieve their pain or stress without the mind-altering effects of marijuana or other pharmaceutical drugs. CBD is non-intoxicating and non-addictive. CBD has been credited with many health benefits—one being its effect on serotonin. CBD does not create serotonin, but it does ensure there is more of the mood-regulating chemical available for the body to use. It naturally makes serotonin more accessible to the brain and body so it can be used more efficiently and bring balance. Serotonin profoundly affects your mental health. Imbalanced serotonin levels can affect your mood and cause other problems like stress and anxiety. Research shows promising signs that CBD capsules may help treat stress and anxiety and also relieve depression. Often, people with chronic stress and anxiety are advised against using marijuana because the THC can trigger or amplify stress, anxiety, and paranoia. CBD pills, on the other hand, do not contain THC and will not have this effect. CBD has been shown to provide the opposite effect of THC. It can calm, relieve and possibly treat some forms of stress and anxiety. People are becoming leery of many pharmaceutical drugs due to well documented negative side-effects. Instead, they are choosing CBD as part of a more natural approach in dealing with stress and anxiety. In 2011, the Journal of Psychopharmacology published a human study on CBD and the effects it has on social anxiety disorder. Some participants were given 400 milligrams of CBD while others were given a placebo. All of the participants were then asked to perform a public speaking test. The participants who had taken the CBD experienced significantly less anxiety, cognitive impairment, and discomfort during their speech. Another small study done in 2010 and published in the Journal of Psychopharmacology discovered something exciting about CBD and social anxiety. The brain scans of the participants with social anxiety disorder showed changes in blood flow to the regions of the brain linked to feelings of anxiety. With this information, they found that CBD could reduce the symptoms of social anxiety. They also found that it did not just make people feel better, CBD changed the way their brains responded to social anxiety. CBD capsules have also been found to be very beneficial in reducing chronic pain. Our bodies have a specialized system called the endocannabinoid system or ECS. This system is involved in regulating many different functions such as sleep, pain, and immune system response. Endocannabinoids are neurotransmitters produced by your body that bind to cannabinoids receptors in your nervous system. Researchers believe that CBD impacts endocannabinoid receptor activity, reduces inflammation, and interacts with neurotransmitters. All of this results in reducing and relieving chronic pain. It is recommended to take one CBD pressed pill per day. Many people find CBD pressed pills to be a convenient way to incorporate CBD into their day nutrition plan. 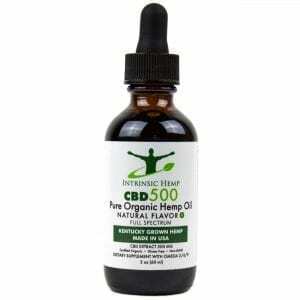 You cannot find a simpler method of acquiring your daily CBD, certainly much easier than the typical CBD oil supplement. If you don’t want to take the conventional pills like Valium, CBD pills may be a great natural alternative. However, you should always consult your doctor before changing your medication regimen. If you just need a way to relax or you seek relief from constant stress and anxiety, you may want to give CBD pills a try. CBD is available on the market in many different forms including; oils, edibles, and even vape. Some of these are known to have a taste not everyone finds enjoyable. 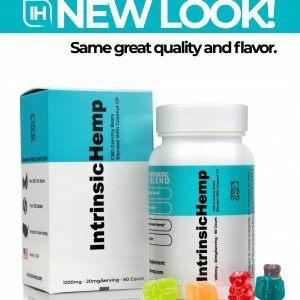 Intrinsic Hemp’s CBD pressed pills have no taste and are small enough for anyone to swallow without a problem. Unlike capsules or soft gels, their pressed pills have no fillers. 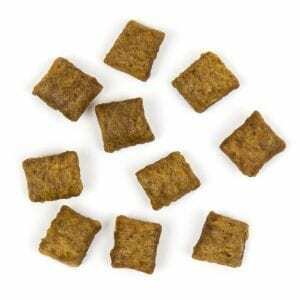 They are produced from 100% American grown hemp that has not been contaminated with herbicides or pesticides. Their pressed pills contain 99.8% CBD isolate and have no psychoactive effects. CBD capsules are perfect for those who don’t care for the taste CBD gummies or prefer not to buy a cbd oil vape pen starter kit. 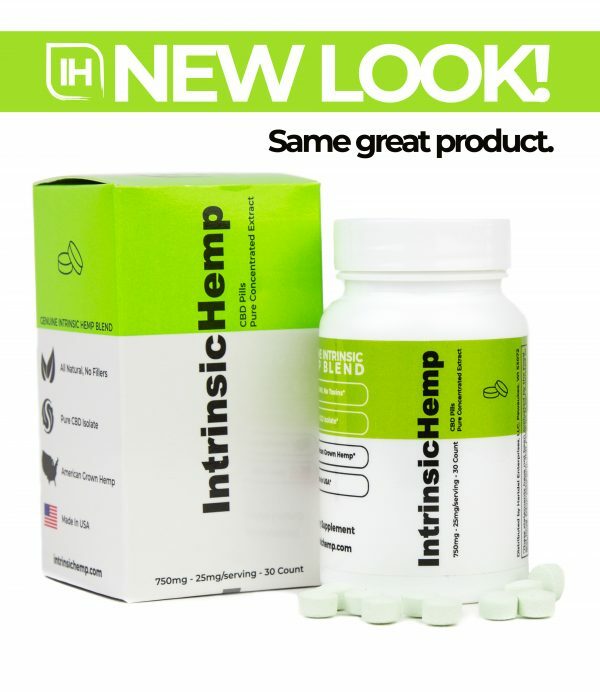 People are finding natural relief for stress and anxiety with Intrinsic Hemp’s CBD pressed pills. We at Intrinsic Hemp are sure you will find relief too. We stand by our product 100%. Our priority is getting you the right help that fits your needs. If for any reason our product does not deliver the remedy you need— we are proud to offer a 30-day money back guarantee. Give CBD pressed pills a try and find out if they can help you relax and get you the relief you need. These statements have not been evaluated by the Food and Drug Administration. This product is not intended to diagnose, treat, cure or prevent any disease. 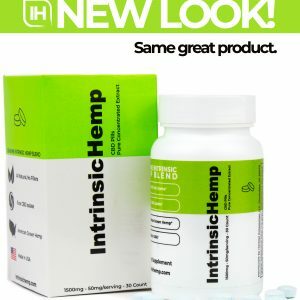 Do not take if you are allergic to hemp or hemp related products. Not intended for use if you are under 18. If you are pregnant, nursing, taking medication, or have a medical condition, consult your doctor before using this or any other supplement. Keep out of reach of children.